with their All Treats, No Tricks Mystery Box. 4 Living Dead Doll items including 1 full size doll. Each box contains items with a total MSRP of at least $80. 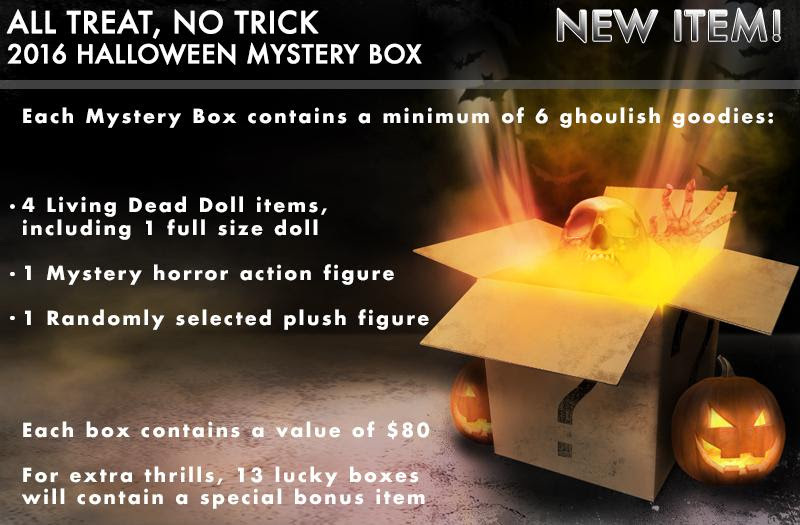 For extra thrills, 13 lucky boxes will contain a special bonus item.